So you’ve visited Seoul and love it with all of its palaces, shopping districts, and nightlife, but now… you’re looking for something new. You grow weary of this Seoul-centric Korea and want to see what else is out there. Well, I’m here to tell you that the rest of the country does not disappoint. 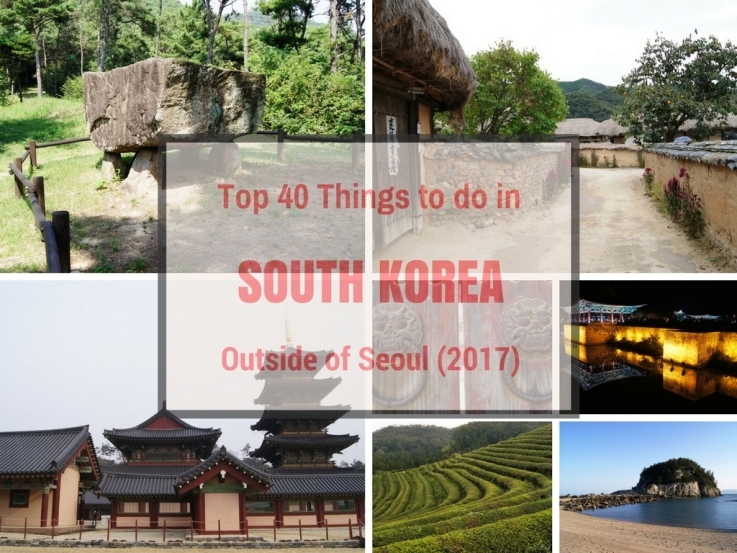 Here is your countdown to the 40 best things to do OUTSIDE of Seoul (2017 Edition). Note – A couple of places overlap with the list of Top 80 Things to do in Seoul. This was done on purpose for two reasons. First, many of these lie in the greater Seoul metro network, making a separation impractical for a guide. Secondly, it is a good benchmark for you to compare how these places stack up to places in Seoul!